1999 New York: Peter Blum Edition. 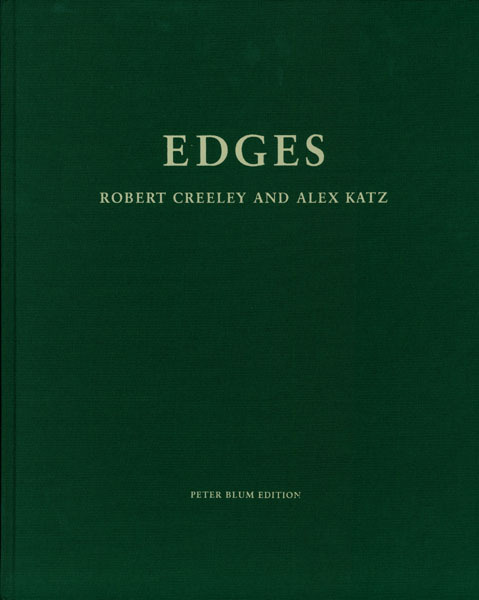 This book contains reproductions of 13 etchings by Alex Katz with the poem “Edges” by Robert Creeley. In addition the volumes includes a tipped-in color plate, two full-color spreads, and a black and white photograph of the artist and poet. Essay by Merlin James. Preface by Peter Blum. Edition of 1500, 56 pages, 13 black & white reproductions, 1 color reproductions, 2 full-color spreads, clothbound. There is an edition signed by Katz and Creeley available. Price upon request.